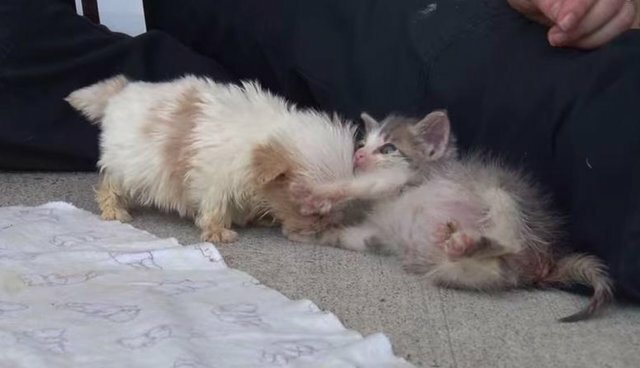 Teeny tiny Ruggles was rescued from a puppy mill, and little Chompers the kitten was found under a porch. Both were brought to the Cherokee County Animal Shelter in Georgia. 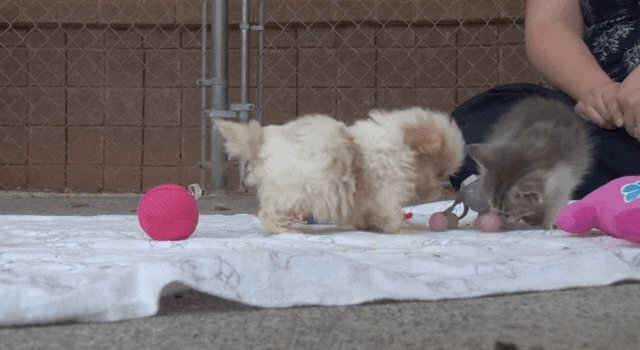 Naturally the two tiny fluff balls became best friends. The world can be a scary place for a little rescue - it helps to have a best friend to cuddle with. 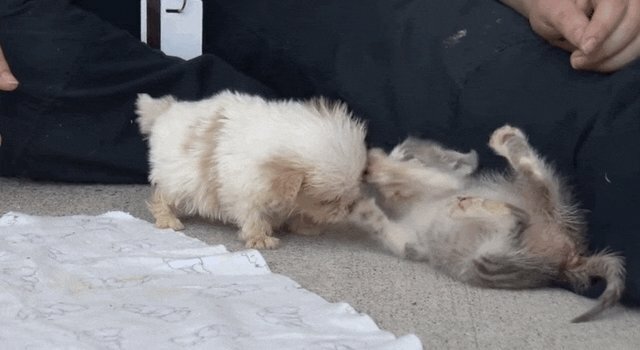 Their friendship gave these two a great start their new lives. Eventually Chompers was adopted out into a forever home, and Ruggles, whose puppy mill past left him with some health problems, stayed at the shelter and became their official adoption ambassador. 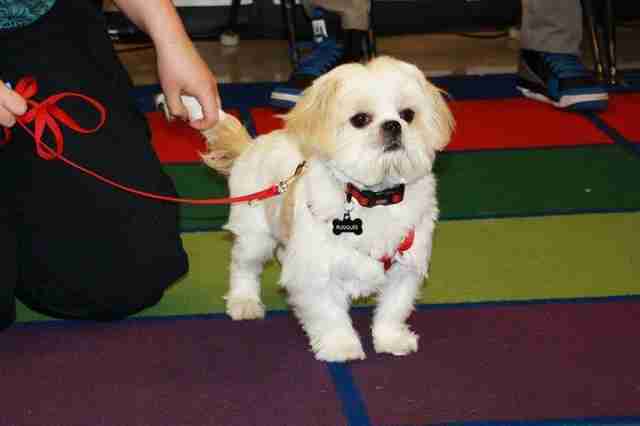 Now he teaches school groups and visitors how pawsome rescues are!